By the start of the 18th Century, the hold of the Catholic Church had begun to slip and scholars found that the Protestant Churches, on the whole, were less inclined to impose their views. The Catholics still attempted to ban heliocentrism and were quick to criticize the findings of geologists that conflicted with the Bible, but this politically guided influence was waning. "I attribute the little I know to my not having been ashamed to ask for information, and to my rule of conversing with all descriptions of men on those topics that form their own peculiar professions and pursuits." Natural philosophy, as espoused by Newton and Descartes, began to spread, built upon the idea that mathematics was the new universal language. Aristotelian thought became replaced by better and more accurate observations, as scientists tried to explain phenomena rather than devise complex theories and try to fit the findings to those. In medicine, the old idea of humors was gone and physicians began to develop ways of looking at the body and physiology in functional ways rather than try to apply theories, aided by the discovery of the microscope. Alchemy had lost most of its mystical and occult symbolism, and the alchemists became chemists and physicists. The influence of astrology declined, due to the twin attack by Newtonian physics and the invention of the telescope, and it became astronomy, taking on a much more pragmatic role in trying to explain the universe. This new approach to knowledge fueled the Industrial Revolution as geologists and engineers began to find coal and metal ores and provide the machines for mass production. The Renaissance was largely centered on Catholic Southern Europe; by contrast, the Age of Enlightenment was the time of Northern Europe, with France, Britain, Germany, and Holland becoming the real powerhouses, partly aided by wealth from empires dominating foreign lands. During the early Enlightenment, England and Germany were the dominant forces, but France started to play a much larger role, becoming the wealthiest European state during the 18th Century. Scientific academies and societies sprang up across Paris and French became the preferred language of scientific communication, as the largely secular French government protected scientists from the influence of the Catholic Church, especially after the revolution in 1789. In the middle of the 18th Century, France and Great Britain became engaged in a scientific and cultural war, the French buoyed by wealth and their excellent academic apparatus, the British by their excellence in manufacturing scientific instruments. 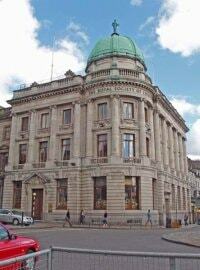 Other nations contributed – Scotland began to produce renowned scientists and inventors, from the Royal Society of Edinburgh and its excellent universities, and Sweden produced botanists such as Linnaeus. Largely, the Renaissance belonged to Spain and Italy, whereas the Enlightenment saw the shift in power towards Northern Europe and the first glimmerings of the United States as a force in science and technology. 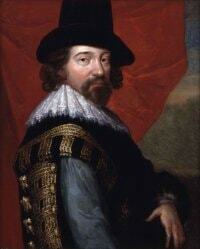 Francis Bacon (1561-1626), followed on from Galileo in proclaiming that the universe was a machine, operating upon entirely predictable laws. He criticized the approach of previous scholars, pointing out that observation and experience was far more important than reading books, a subtle and correct swipe considering that Aristotle and Galen had been given prominence even where their ideas were patently wrong and did not match reality. Bacon advocated throwing out classical dogma and looking for new knowledge based upon reality rather than churning out the same, tired theories. However, he did believe that Aristotle’s inductive method, of observing phenomena and attempting to propose general principles to explain them was a sound basis for gathering knowledge. He proposed that this was much more appropriate than the deductive approach of Plato, where general principles are proposed and these theories are applied to phenomena for, as Ptolemy’s epicycles showed, this led to the futile pursuit of inherently flawed models. This laid down the foundations for the Scientific Revolution. Isaac Newton (4 January 1643 – 31 March 1727), a philosopher as well as an astronomer, was another member of the triumvirate of thinkers that defined the Scientific Revolution and created a framework for the Enlightenment. In his text, the Principia Mathematica (1687), he laid down some fundamental arguments stating his belief that mathematics could describe the innermost workings of the universe. Mathematics and mathematical models are sufficient to describe the universe. Gravity is one of the mathematical laws that defines how the planets move, and explains the orderly motion of heavenly bodies. Although better known for his work concerning political systems, John Locke (29 August 1632 – 28 October 1704) was instrumental in directing the course of the Enlightenment, his philosophy shaping science, defining the nature of knowledge, and forming the basis of modern psychology. 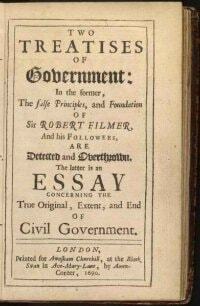 His most famous work, An Essay Concerning Human Understanding, was published in 1689, cementing his place as the first important philosopher of the Enlightenment. He built upon the work of the scientists, such as Newton and Galileo, arguing that they were true philosophers, building knowledge from experience and analysis rather than pure reason alone. In the second book of the essay, he discussed the difference between ideas and physical objects, arguing that perception via the senses lay at the root of knowledge, producing the ideas that represent the ideas in the mind. This line of thought became critical in the development of empirical psychology. Newton used his principles to describe the universe in terms of astronomy and physics, but Enlightenment thinkers began to apply these laws to fields as diverse as economics and politics. 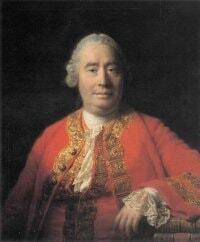 Importantly, the removal of religion from the equation needed a redefinition of ethics, and scholars such as David Hume (7 May 1711 – 25 August 1776) and Jeremy Bentham (1748 - 1832) increasingly looked to quantify ethics rather than seeing them as a phenomenon derived from holy scripture. This is a sub discipline that pervades culture and, especially for social scientists, medicine and psychologists, is one of the most important facets of the Enlightenment, dictating how they can and cannot behave. These great thinkers defined the Enlightenment and created the mechanistic principles that would lead through the Enlightenment and Industrial Revolution, forming the basis of modern, largely secular society. It also gave scholars the means to gather information and try to fit it into a coherent body of knowledge, rather than adopt the piecemeal approach of the Renaissance and before. Knowledge became systematized and, while increased specialization carried some risks, namely that scientists ran the risk of immersing their studies so far into one field that they did not realize discoveries in other areas, the establishing of scientific societies and journals helped to bridge these divides, part of the fluid, urban, university culture that sprang up across Europe. During this period, Europe was undergoing a period of political, social, and philosophical changes, moving away from absolutist monarchs and ushering the modern age, based around innovation and capitalism. The Enlightenment scholars drew inspiration from Republican Rome rather than Classical Greece, looking towards secularism and moving society away from religious doctrine and control. In terms of science, the 18th century can be seen as an extension of the Scientific Revolution of Newton and Descartes, as a continuation of their work.